Townhall Webcasting by ICV Digital Media serves the Country with complete affordable corporate webcasting services. Executive, HR, shareholder meetings, private internal company meetings or public announcements. Fast, Affordable. We have offices in all major metro areas including New York City. Let us launch our enterprise class Media Portal for your organization, brand it as your own, and give you complete control of your existing video and webinar content. 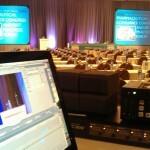 ICV has 25+ years of experience integrating web and video. We are always building new capabilities for our clients and enhancing the functionality of our video streaming and learning management tools that are part of your Media Portal. Work with ICV Townhall webcasting and we can import your existing content or be your Video Production team. Build agendas or libraries of content organized by date, subject or department. Broadcast your quarterly or annual meetings securely to your workforce or partners. We have an entire ecosystem of asset and streaming video management tools that are easy to deploy, and use. 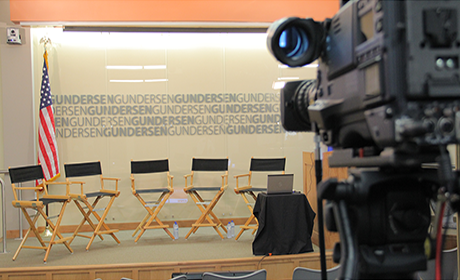 Our live webcasting and archived, on-demand streaming is supported by our included video and web hosting. You get flexible embeddable video players using HTML5 allowing playback on all devices including iOS devices. All players come equipped with screen controls, indexing, synchronized slides and moderated chat and polling when doing a live webcast. Optional modules can be configured to your specifications. Call for a demo and discussion about how to put all your assets in one place and build a webcast plan for your group.